Let the Saltimbanco giveaways begin! 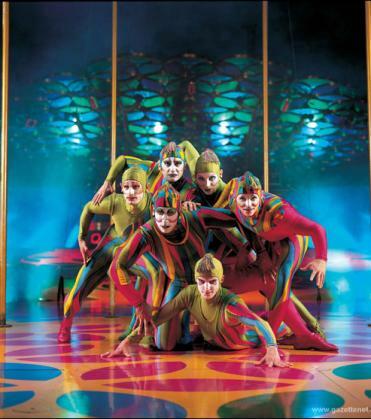 Ok, Ok, Ok...here we go with the trivia question for Cirque du Soleil&apos;s Saltimbanco tickets! Like I said, this giveaway will be a bit more tough, but it&apos;s worth it. AND, let&apos;s review the rules before we move forward. 1 - Answer one tourism trivia question; 2 - Answer one Cirque Du Soleil trivia question; 3 - You have to re-tweet the original tweet in order to be eligible to win; and 4 - You have to answer both questions within the same Tweet. Tampa Tourism Trivia Question - How many "breakout rooms" does the Tampa Convention Center have available, and how large is the Tampa Convention Center Ballroom? Cirque du Soleil Saltimbanco Question - How many times has Cirque du Soleil performed in Tampa?